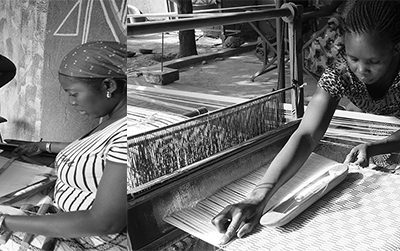 Facing the lack of local processing of cotton, in 2013 Afrika Tiss opens a weaving centre in Ouagadougou with the first ambition to strengthen the textile handicraft sector while offering new development opportunities to disadvantaged artisans. The women involved in the project are trained in dyeing, weaving techniques that allow them to broaden their know-how and participate in quality production. The Fashion & Home accessories made on the spot from the weavings are sold on the international market via our brand Tiss & Tik, assuring women a fair and regular income. Discover in this film our activities!